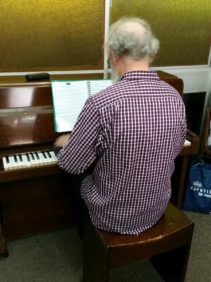 After 34 years at the church organ at Burleigh Heads Uniting Church (and a career spanning almost 80 years) Bettye Dare OAM has finally relinquished her beloved instrument. 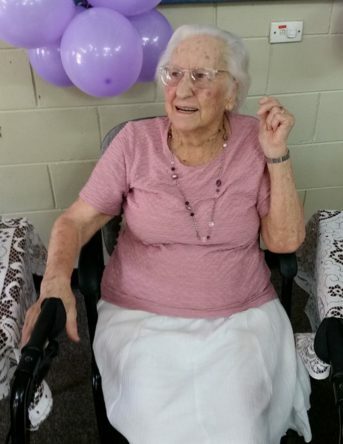 She commenced her meritorious career in the Methodist Church at Cootamundra in 1938. After succumbing to crippling back-pain in December 2017, Bettye has surrendered herself to her Lord and master as she waits the next stage almighty God has planned for her. 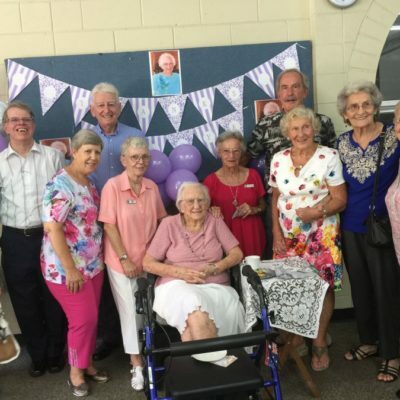 To commemorate her outstanding service to the Burleigh Heads Church a Sunday Brunch was organized after worship on 18 March 2018. 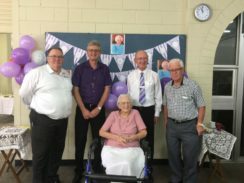 Attended by more than one-hundred regular church-goers and invited guests, Bettye was honoured to be in the company of four of her former ministers at Burleigh Uniting – Rev Bert Adrain, Rev Dr Clive Ayre, Rev Colin Batt and Rev Leo Newell. 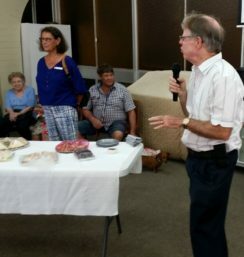 In addition to her music ministry, Bettye has also served more than forty years as a Religious Instruction teacher in both Burleigh Heads and Caningeraba schools. Hundreds of local children have fallen under her spell, her warm and loving personality mirroring that of Jesus, the fisher of men and women. Bettye has also faithfully opened up her home to Bible Study and Prayer Groups over many years. 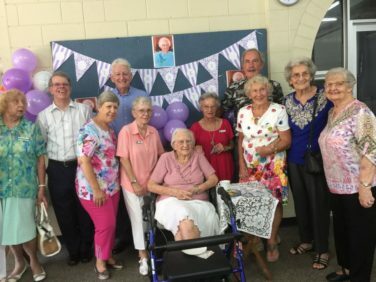 No wonder she was awarded an OAM in June 2009 along with fellow-choristers and church-goers at Burleigh Uniting – Jack Chapman and Blodwyn Whitehead.